Required by many venues, Prime Discos has not provided satisfactory evidence of having current PLI available. Also required by many venues, Prime Discos has supplied satisfactory evidence of holding current PAT inspections of their equipment dated within the last 12 months. A Method Statement outlining Prime Discos&apos; Health & Safety procedure for setting up disco equipment has been provided. Prime Discos has provided Risk Assessments undertaken at events sourced via needadisco.com, indicating that they can undertake these competently. Why do people choose to book Prime Discos? We found this to be a reasonable price with a good set up. Excellent previous customer reviews. Prompt response and reasonable price. Good value for money. Insured and PAT tested was key. They sound like the best DJ for the party we are hosting and they are friendly and very helpful. 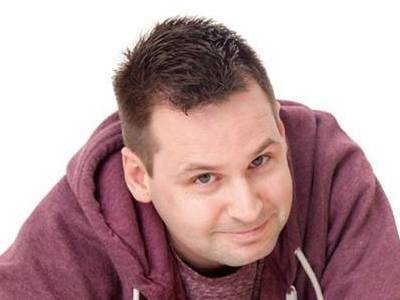 "Steve was brilliant at my mums surprise party catering to all requests made to him. He made sure the night was enjoyable for all and knew exactly when to start winding the evening down. I’ll definitely use Steve at Prime Discos again. " "Thanks for the positive review! 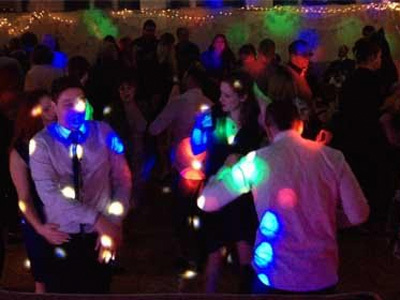 I thoroughly enjoyed providing the disco for your mums party - Steve"
"DJ arrived and set up in plenty of time with no fuss, music was played as requested and everyone had a great night "
"Thank you very much for the feedback. It was a pleasure to DJ for you and your guests - Steve"
"Thankyou for meeting our needs perfectly, especially at such short notice. Great communication and catered to guests with expertise"
"You are more than welcome. Thank you for your feedback. Much appreciated :)"
"A brilliant Dj, we would 100% recommend to anyone that needs a Dj at a really reasonable price with no deposit either"
"Thank you very much for your positive feedback. It was a pleasure to DJ for you and your guests - Steve"
"Brilliant DJ exactly what I wanted and more "
"Great party!! will use again"
"Thank you for your feedback :)"
"Steve was great with his help patience and advice prior to and during the event. Would definitely recommend him for similar events." "Thank you very much for your feedback. It is most appreciated :)"
"Steve was very good on the night, he was there on time and made an effort to wear smart attire that i requested, he was amazing with taking requests from the guests!! Would hire him again "
"Thank you for the positive feedback it is much appreciated. I enjoyed DJ'ing for you and your guests - had fun! Steve"
"Very professional manner. Arrived in plenty of time to set up without any fuss. Provided background music prior to the start of the disco which was a nice touch. The disco itself was excellent with great lighting. Highly recommended at a reasonable price compared to the competition." "Thank you very much for the feedback / review itbis much appreciated. I'm glad you were very happy with the service & entertainment provided. It was a pleasure." "As it was a surprise 40th I had to trust that Steve would be at the venue and set up before the guest of honour arrived. I needn't have worried. We walked in to Steve playing Stevie Wonder's happy birthday. Steve kept the music flowing nicely and responded very well to requests. I would thoroughly recommend Steve." "Thank you for the good review. It was a pleasure." "Professional. No hassle. Highly recommended." Prime Discos also offers a range of additional party services not directly linked to musical entertainment. Experienced mobile DJ and radio presenter. If you are contacting Prime Discos about an event, it's always a good idea to include the DATE, LOCATION, EVENT TYPE, AGE GROUP and TIMINGS to speed things up!